I’m not sure what Skinner would have thought, but its clear that, nowadays, mechanisms of behavior can be understood in terms of dynamic changes in neural systems and, furthermore, that individual differences in these neural dynamics are heavily regulated by genetic variation. Consider the recent paper by Lobo et al., “Genetic control of instrumental conditioning by striatopallidal neuron–specific S1P receptor Gpr6” (DOI). 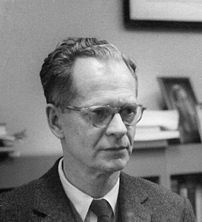 The authors use molecular genetics to seek out and find key genetic regulators of a specific and fundamental form of learning – operant or instrumental conditioning, pioneered by B.F. Skinner – wherein an individual performs an act and, afterwards, receives (+ or -) reinforcing feedback. This type of learning is distinct from classical conditioning where, for example, Pavlov’s dogs heard a bell before dinner and eventually began to salivate at the sound of the bell. In classical conditioning, the cue comes before the target, whereas in operant conditioning, the feedback comes after the target. Interestingly, the brain uses very different neural systems to process these different temporal contingencies and Lobo and company dive straight into the specific neural circuits – striatopallidal medium spiny neurons – to identify genes that are differentially expressed in these cells as compared to other neurons and, in particular, striatonigral medium spiny neurons. The GPR6 gene was found to be the 6th most differentially expressed gene in these cells and resultant knockout mice, when placed in an operant chamber, were much faster than control animals in learning the bar press association with a sugar pellet reward. The expression of GPR6 in striatopallidal cells predicts that they should have a normal function in inhibiting or slowing down such associations, so it makes sense that the GPR6 knockout animals are faster to learn these associations. This is one of the first genes whose function seems specifcially linked to a core cognitive process – Skinner might have been impressed after reading the paper.